Published fortnightly and available from most local Businesses. We are a Voluntary Community Newsletter. 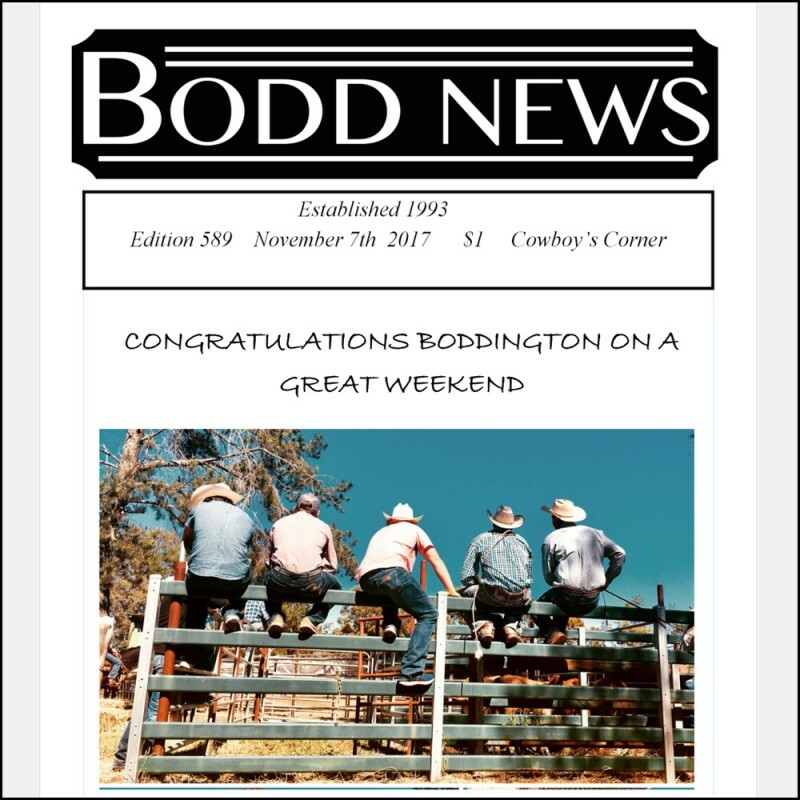 Bodd News has the Distinction of being one of the very very few Independent Community Newsletters and is run on a totally voluntary basis with the emphasis on Community involvement. We provide a service whereby Community Groups , Sporting Groups, Businesses and Individuals can share information to inform the Community of the latest activities available. It is also the major communication outlet with Boddington, Wandering, Quindanning and Williams. We also provide an Enewsletters service which allows people on holidays or overseas to still keep in touch with Boddington happenings. All Community or Sporting Groups are entitled to one free page each edition provided that they take an annual turn in collating. Bodd News is published on a fortnightly basis and is available from most of the local Businesses.